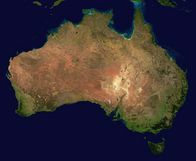 Online players can win their seats to the 2011 Aussie Millions main event for free at Full Tilt Poker. A prize package can we won via a series of freeroll qualifiers, and round 1 of these freerolls is now running daily until Jan. 6. The prize package includes a seat in the main event, 11 nights’ accommodation at the Crown Metropol Hotel, travel allowance, and exclusive Full Tilt Poker activities such as poker instruction from Team Full Tilt members. The 2011 Aussie Millions main event kicks off on Jan. 23, 2011 at the Crown Casino, Melbourne, Australia, and features an estimated top prize of AUD$2 million.